American Eagle - Did You Watch “American Eagle”? – Tell Us What You Think! American Eagle premiered Sunday night (check local listings). If you watched, we’d love to hear what you think! 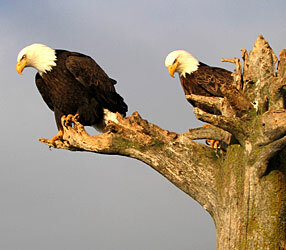 The bald eagle may be an American icon, but most of us know very little about this aerial predator. American Eagle goes behind the scenes and into the nest to provide the ultimate bird’s eye view into the private life of this striking raptor. What was your favorite part of the episode? What did you find interesting or surprising? Use the comment form below to share your thoughts with NATURE viewers everywhere.